The holidays can be such a busy time, so I'm always looking for easy and unique gifts I can give my family! My parents are big ice cream fans, and we usually have an ice cream sundae bar every Christmas. That's where Graeter's comes in! They ship right to your doorstep, which makes gift giving or party planning so easy. When you order online, you can mix and match your own custom gift box of flavors. Their website makes it easy and fast to ship, and let's you select the day for your ice cream to arrive. If you use code Selective-Sweets, you can get $5 off your first order! (Must ship by Wednesday, December 13th to qualify). 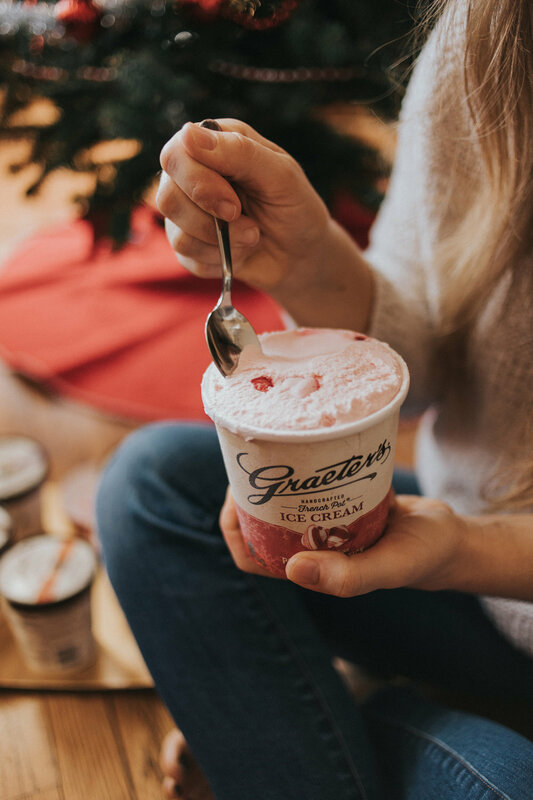 I loved learning a little bit about Graeter's too... they're the only mass produced ice cream company that continues to make their ice cream the old fashioned way, remaining true to the French Pot process. It's so thick and dense that it has to be handpacked! This is a great gift for your family and friends, but also makes finding a gift for your coworkers easy as well! And it's great for those gifts that need to be shipped long distances. They show up in a perfectly packed cooler... super easy. Everyone in my office was so intrigued when I got the package in the mail! 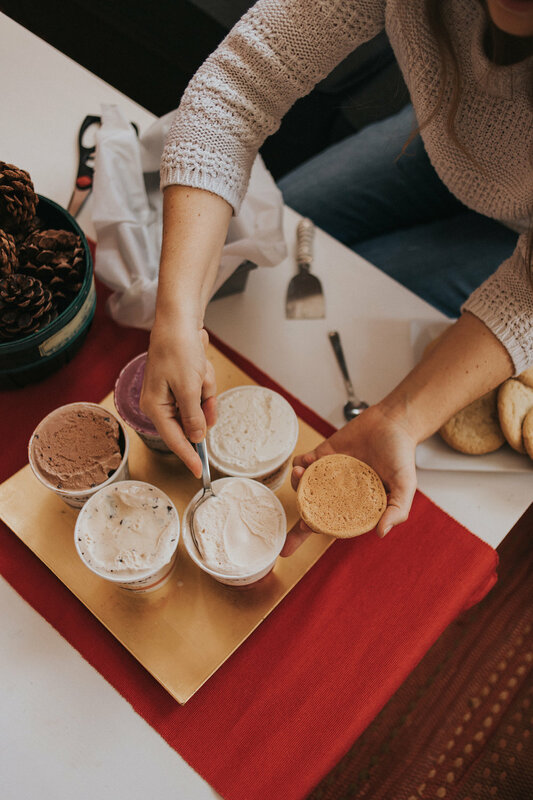 If you'd rather do something a little more personal for the holidays, consider making your own ice cream creation! 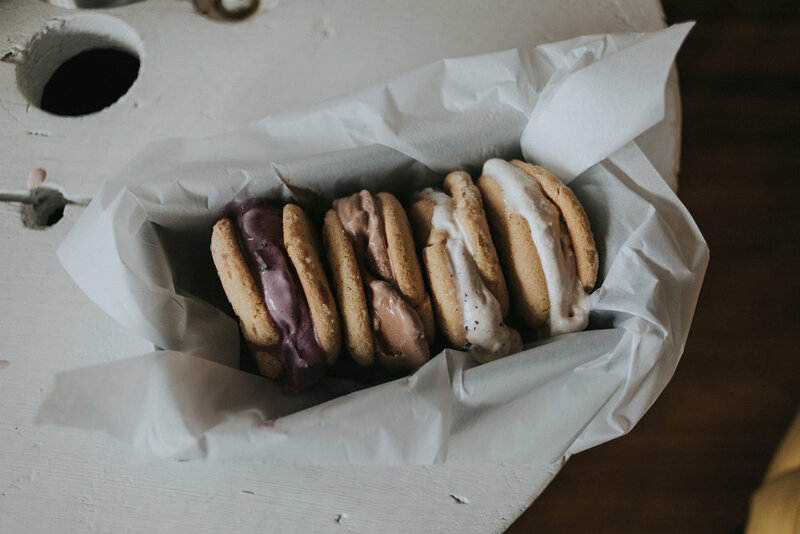 I wanted to give homemade ice cream sandwiches a try, because I thought this would be perfect to bring to a holiday gathering that's fun and unique... and they were so easy to make! I let the ice cream sit out for a little bit to soften, piled it on top of my favorite sugar cookie recipe, mashed together, wrapped in wax paper, and let sit in the freezer overnight. So good! (Eric is currently chomping on the cinnamon sugar cookie sandwich I made!) You could try different cookie recipes with the different flavors... imagine a peanut butter cookie with double chocolate chip ice cream. Yum, right? 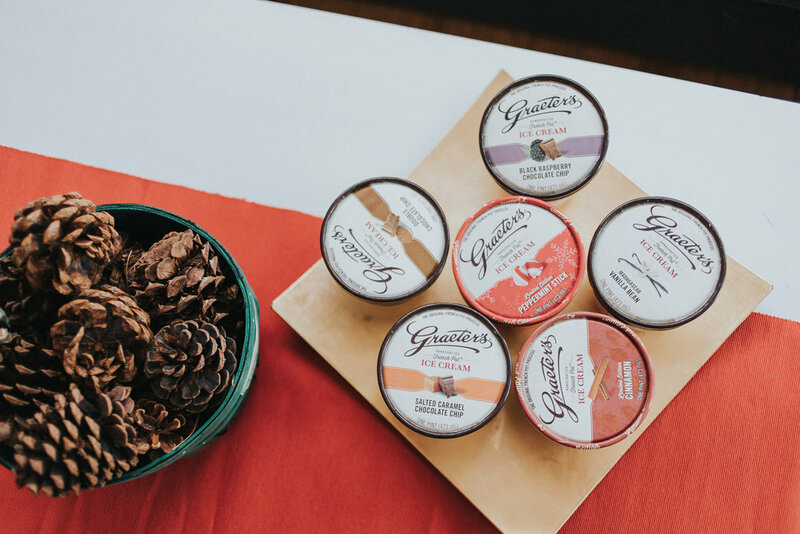 Thank you to Graeter's for kindly sponsoring this post. All opinions are 100% honest and completely my own.